Maggie Juaquin was born in the Saline Valley and lived near Darwin. 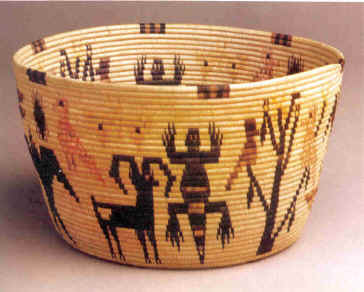 She used the ancient pictures on the canyon walls for inspiration for her baskets. Her baskets were also put on display at the Golden Gate International Exposition in 1939.